When buying a home in the mountains, being able to obtain a loan often is the one of the largest pieces of completing your home purchase. The video below is John Poltrock with one of our local go-to mortgage brokers. It provides valuable insight on the process and ease of getting a loan and the importance of using a local lender to complete your real estate purchase. Questions? Call us at 1-866-Murphy-NC and we’re happy to help. Think the tax stimulus was a great deal – think again! Mortgage rates here in Murphy NC are so good, you can beat it! We have lots of local lenders that can help you with this. For missing the $8000, you gained $54,612 in interest charged for your loan. On a $200,000 mortgage at 5.5% interest over 30 years vs, the current 4.25% you will have saved $54,612*. If you look at a 15 year mortgage, it would have saved you EVEN MORE! Buy now and gain so much more than the $8,000 tax credit, you really don’t want to miss out on this benefit. Call us today to start finding your new home! Short sales in real estate have been a popular topic not only in Murphy NC, but all over the United States. National media has brought attention to this topic, and many people simply don’t understand what a short sale is. A short sale is not like a real estate foreclosure, which is is where a bank has repossessed a home or land parcel because the borrower failed to make their payments. Need Help with a Short Sale? Get The POLTROCK TEAM! A short sale happens when the owner (or borrower) still has possession of the property and sells the property for less than what is owed to the bank or mortgage holder. The most popular and most talked about is the bank/mortgage holder writes off the loss and “forgives” the borrower. In some instances, it can still negatively impact your credit – but not as bad as a foreclosure. The borrower brings cash to the closing table to pay for the difference. This rarely happens because if the homeowner had the money to pay the difference, they would likely not need a short sale in the first place. Short sales are generally reserved for when foreclosure seems inevitable and the borrower has no way to pay back the note. The owner borrows the money to pay the difference. Many times the institution (so long as it is not a mega-national company) will loan the difference or a personal loan can be given from another bank. Many sellers who are “upside down” in their real estate are trying to attempt this option. On the surface, it seems very easy. The truth is, there are a lot of hoops to jump through and you may not qualify for it. I was working a short sale and had the buyers about two weeks ago. The president of a large local bank told me, “If we did it for these guys, then we would have to do it for everyone. That would say it’s okay to default on a loan you promised to repay and that’s just not right. We’ll foreclose on it before we’ll even consider short selling it.” On the other hand, some banks would far rather a short sale than to have to go through the expensive process of foreclosing. We’ve closed short sales and they do happen. There are so many things that come into play on these that I will have to save them for a later time. Keep an eye out for more on this topic and I will try to link them together to make them easily found. If you have any questions, call us or email! We’re in business for you and are happy to help any way we can. When you buy a home – whether its your primary home or a vacation home – most folks need to apply for a loan to finance a portion of their investment. When you’re going through all the documents, it is important to understand exactly what you’re saying. The real estate and mortgage fraud cases that dominate the headlines usually have to do with fraud for profit. A ringleader conspires with industry insiders – usually a real estate agent, appraiser, and loan officer – to obtain mortgage loans they have no intention of ever repaying. Another form of mortgage fraud is also common – fraud for housing. According to an FBI source, "Fraud for housing represents illegal actions perpetrated solely by the borrower. The simple motive behind this fraud is to acquire and maintain ownership of a house under false pretenses. This type of fraud is typified by a borrower who makes misrepresentations regarding his income or employment history to qualify for a loan." • Claiming on a loan application that you earn more money than you actually earn. • Presenting counterfeit paycheck stubs to verify employment or income. • Intentionally overestimating the value of your assets on a loan application. • Claiming on a loan application to work for a particular employer when you do not. • Adding someone to the loan application as a co-borrower who does not intend to live in the home with you or assist you in making payments. • Signing a loan application that contains blanks you know the loan officer will fill in for you later with false information that will help you qualify for the loan. • Getting a friend or relative who owns a business to say that you work there. • Fudging the numbers on a document, such as a tax return, to make it look like you earn more than you do. • Applying for a loan in excess of the sale price paid to the seller, so you can obtain the surplus proceeds in cash back at closing. In other words, it is a felony to lie on a loan application, whether for profit or housing. Some people argue that fraud for housing is a victimless crime. After all, the person applying for the mortgage loan really wants to keep the house and has every intention of making the monthly payments and paying off the debt. However, that’s beside the point. The real issue is that when people commit fraud for housing, they mislead the lender into approving a loan that is riskier than the lender would otherwise consider. It contributes to increases in foreclosures and the cost of mortgages to all consumers. Knowing what constitutes fraud for housing can help you avoid committing it or becoming an accomplice if a loved one tries to make you complicit in their plans. Remain on the lookout for mortgage fraud of any type, and do your part to reduce fraud and make mortgage loans and housing more affordable for everyone, including your neighbors. Ralph R. Roberts, GRI, CRS is a real estate and mortgage fraud forensics expert and author of Protect Yourself from Real Estate and Mortgage Fraud: Preserving the American Dream of Homeownership (Kaplan Publishing). During the real estate bubble, this type of loan fraud was sadly prevalent. In fact, many professionals agree this very issue caused a large portion of the inflated prices and has now left many would-be flippers and investors "holding the bag." Laws are in place for a reason, and its very important we follow them and banks enforce them. If you’re looking for a primary home or a vacation home and are unsure of your financial situation, let us know! We have experience in both conventional and unconventional financing that will put you in your new home without putting you in a dangerous situation. 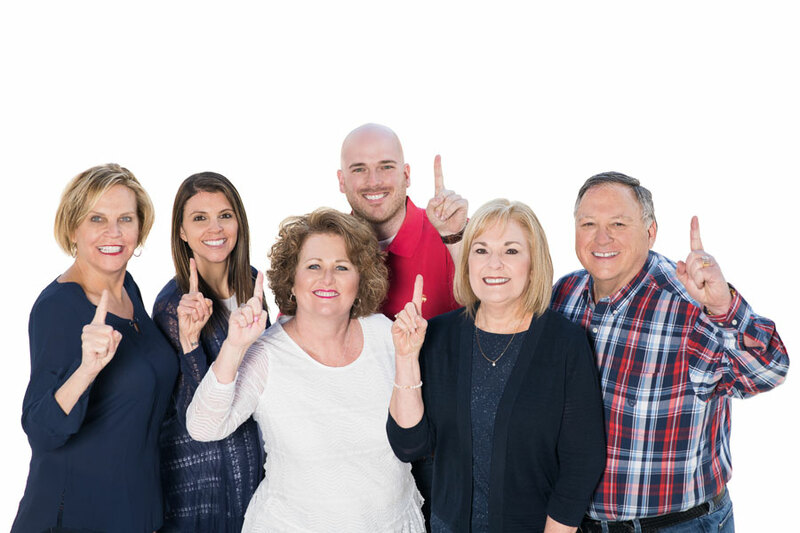 John and Jessica Poltrock – The POLTROCK TEAM at RE/MAX Mountain Properties – www.MyMurphy.com – JohnPoltrock@gmail.com – Real estate in the Mountains of North Carolina – Call Toll-Free (877) 837-3002 and demand The POLTROCK TEAM! Everyone seems to be talking about how “bad” the real estate market is right now. For those of you who like to gossip about it, I hate to break it to you. No the sky is not falling! In fact, now is the time to buy real estate. Interest rates are still at a historically low rate. Remember back in the 80’s when the interest rates were around 18%? Your $150,000 mortgage payment would have been a whopping $2,260.63 as apposed to today’s much lower $923.58. How’s that for a difference? Many of our local banks and mortgage brokers are true professionals. There are so many mortgages products available today compared to even ten years ago. First time home buyers have it great with many of the incentive packages being offered right now – such as no PMI (read: fancy acronym for mortgage insurance) and 100% financing. Be sure to do your research and find out which bank offer you the best product BEFORE you fill out their credit application. Want good local bank references? Call me. I’ll be happy to point you in the right direction. You can also visit our Recommended Mortgage Lenders on our Gotta Guy List. If you think now is the time to sit on the fence – you’re wrong. Ben Bernanke (Federal Reserve Chairman) is considering raising rates to cool rising inflation as a result of the stock market boom and other economic factors. What good is saving $1,000 up front when you’re paying that much or more every year for thirty years on your mortgage? Think long term and you’ll be better off than ever. Not only that, there’s a lot of choices on the market. Finding and buying your new home is much easier than you think. Call me today at (828) 837-3002 to arrange an appointment to go over all the excellent options you have available. In less than 30 minutes, you can be well on your way to owning your own home.